I’ve been watching this week’s guest perform for almost 30 years – first, when he would return as an alum and do stand-up at Balcony (a bar that is no longer in Oxford) and now, on countless sitcoms and movies. 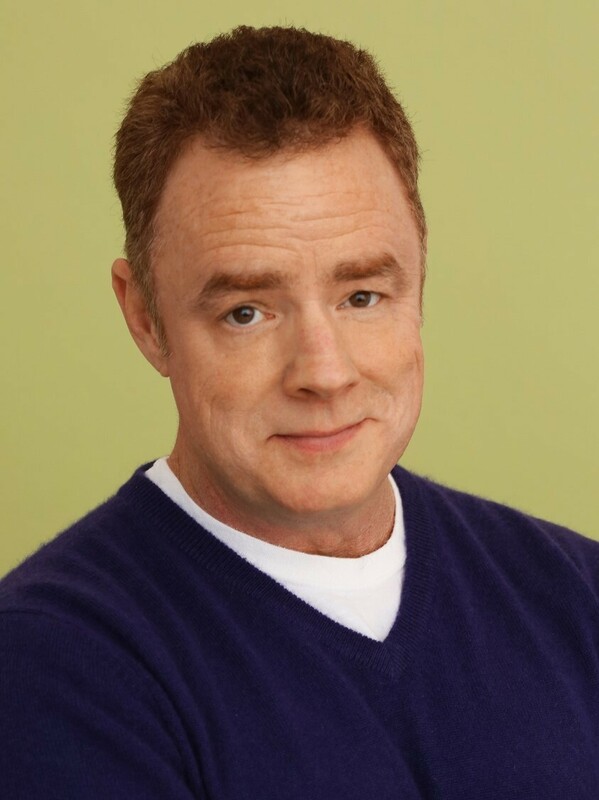 Chip Chinery has appeared in, among many others, Seinfeld, Friends, 3rd Rock, Curb Your Enthusiasm, Family Guy, and most recently the movie Battle of the Sexes (and countless TV commercials). In the pod Chip talks about how creating a day-in-the-life documentary of his senior year led to his first job out of college at a news station, and the importance of friendship - as it was a Miami fraternity brothers father who helped him land his next job with a bank (which paid for his stand-up touring). Chip also has some great stories that give insight into the world of a working actor in Los Angeles, from finding out the day before about important auditions, to attending a movie premier only to learn you’ve been cut out of the film (it’s an epic tale). Make sure you stay until the end to hear about his on-set conversation with award-winning actress Emma Stone and the Miami connection they have together. Got the opportunity to work with Donald Sutherland and Clint Eastwood in Space Cowboys. Ultimately got cut out of the movie, but was surreal in acting with Donald Sutherland. Invited to the screening and realized at the end his scene was cut. Got a letter in the mail the next day letting him know they cut the scene out. In TV shows and movies, it’s quite normal and not uncommon for this to happen. Chinery had first cousins that went to Miami and he visited them when he was younger. Thought the idea of college was so cool and fell in love with the campus. Always was interested in comedy. Started doing stand up when he was 16 and continued this through his high school and college days. Realized he didn’t want to do business after a 8:00am M-F Calculus class. Originally wanted to take mass communications, but his mom wanted him to go to the business school. Realized quickly he didn’t want to do business after the 8:00am calculus class. Decided to become psychology major. Always been interested in video and TV and stand up. Had done some video projects for the Channel 9 News in Cincinnati and gave his boss a call asking if there were any open positions. His boss offered him a job as a cameraman. Left Channel 9 to become a PR director of a bank. Keep your friend’s parents in mind for employment. Got to be the PR director of a bank because he sent out letters to parents of his frat to buy this year in the life video for his fraternity. CEO of the bank reached out to him (who was a parent of his fraternity brother) and said he might have a job for him. When Chinery got offered the job in CT, he wanted to make sure he could do stand up there. A mutual friend connected him with a stand up guy in the area. Chinery was the PR director for 8 months, but realized it wasn’t right for him. Chinery’s boss told him he should go do stand up full-time. Chinery felt he had some common sense ideas for money tips, so he started a blog to help people. Emma Stone’s parents went to Miami University (and her aunt). Chinery worked with Emma Stone on Battle of the Sexes. Found out her folks are from Columbus and went to Miami and her family graduated from Miami. Chinery realized he knew her aunt Karen.